Rarely photographed at public events, brothers Macaulay and Kieran Culkin were snapped together at a screening Tuesday night. 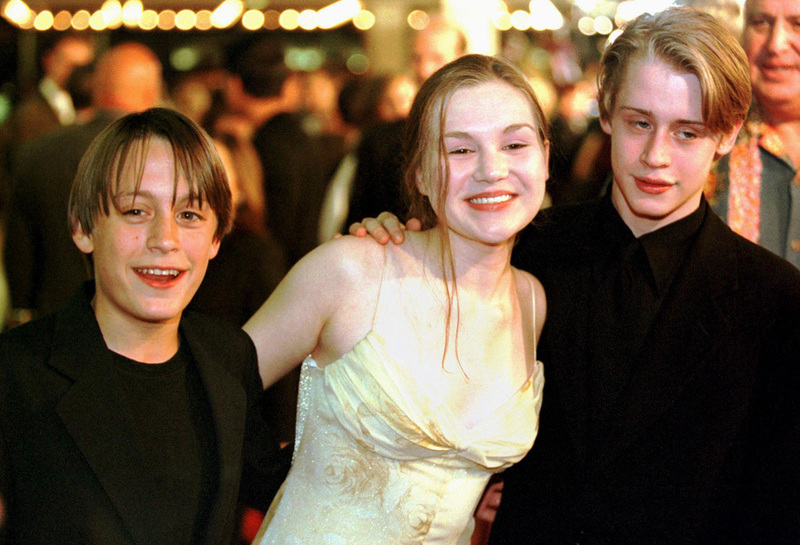 Below are the brothers this week, with actress Hayden Panetierre in between them, and for comparison, the brothers in 1998, with Macaulay's then-wife Rachel in between them. Mac is now 29 and rarely acts, Kieran is 27 and has a few movies wrapped.